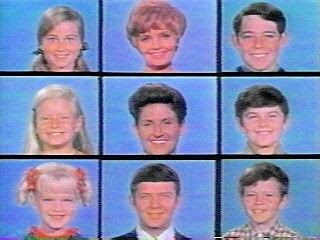 Then again, “The Brady Bunch” was pretty bad to begin with. “Seinfeld” wasn’t, and Larry David’s mustering of the original cast for a fictional reunion show, in this season of “Curb Your Enthusiasm,” is as good as it gets. Shows you what good writing, adequate rehearsal and great comedic talent can do in the fullness of time. It also shows, by comparison, how tired and lame the real “Seinfeld” finale was in 1998. Speaking of comparisons, Larry David’s current show begins to look kind of crass and clumsy too. Instead of honed scripts and comedic timing, “Curb Your Enthusiasm” relies on situations that are increasingly crude and implausible, with David and his cast barely containing their smirks while they ad-lib through each scene. The bit about the little girl’s rash was just too much. Contrast that with the table read and the few scenes we saw of the fictional “Seinfeld” reunion, and you long for a return to a more sophisticated time. That said, I loved how they handled Michael Richards’ little problem with the racial epithets a few years ago. If Richards lost his mojo then, he’s got it back now. The scene where he opens the door the guy in the Louis Farrakhan outfit is best in show. 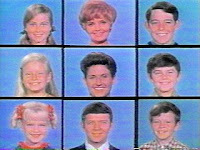 The best tv show ever! I have seen every episodes multiple times, but my favorite is the one with the librarian cop named Bookman. The way Curb got the whole cast together again was great to watch.